sheet, corrugated sheet and coated corrugated sheet. 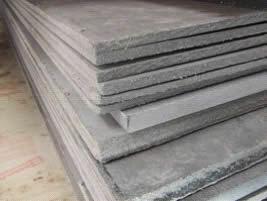 Posted By: Hgmount Asbestos Sheet Co., Ltd.
Paronite, for example, is a gasket material in sheet form. 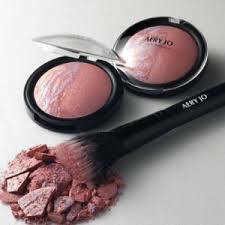 It is a compressed blend of asbestos, synthetic rubber and mineral fillers and sulfur. Owing to various formulations and processes, several types are manufactured to meet different service conditions. There are a full range of paronite are provided, including oil resistant paronite, high performance oil resistant paronite, acid resistant paronite, steel wire reinforced paronite and general paronite. It is widely used in the chemical and petroleum industry, metallurgy, mechanical engineering and metal working, electrical and power engineering. In fact, asbestos products have served the human being for thousands of years. They are still widely used because of their long life span, low thermal conductivity, sound absorption, heat resistance as well as affordability. Owing to these good performances, asbestos products are frequent materials in a lot of fields, such as buildings, metallurgy, chemical industry, electric, theaters and so on. For example, asbestos cement sheet, flat or corrugated, are common materials in buildings, such as walls, ceilings, attic roofs and floors. All asbestos products have been inspected. No folds, cracks, tears, shells, bubbles or other mechanical drawbacks are found on the surfaces. In addition, storage pose an important affect on the life of asbestos products. Keep them away from heat emitting area at least 1 meter. Not being exposed to direct sunlight, oils, organic solvents, acids, alkalis and other aggressive substances. Hgmount asbestos products have passed strict tests. Their first class quality has been accepted by more and more customers. We believe that our products will operate well once used.